This innovative towel provides you with both washing and holding power at bath time. 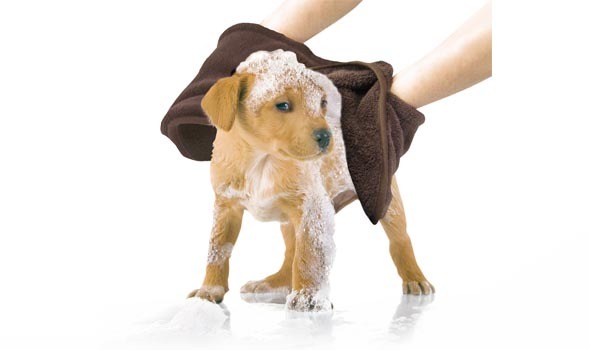 Simply insert your hands in the pockets to wash your pup and hang on to them too. It’s a great way to prevent escapes or the full-body shaking that can drench you. One pocket is washcloth soft while the other features a mesh patch for deeper cleansing. This entry was posted on Thursday, April 22nd, 2010 at 7:57 PM. It is filed under Bathtime, Product. You can follow any responses to this entry through the RSS 2.0 feed.